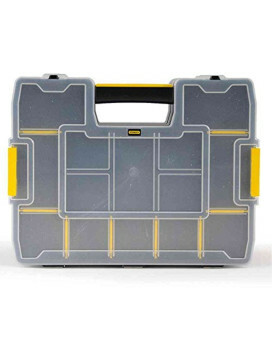 Thinking about staying organized when you own different types of tools? 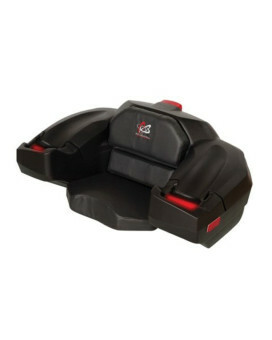 If so, then you have come across the right online destination. 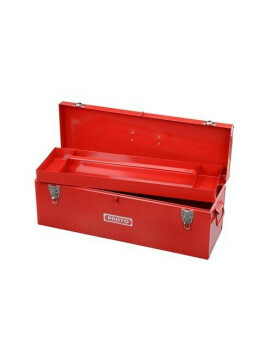 As you shop tool boxes online in USA, think about high-quality wooden or plastic boxes that provide ample space to store everything. 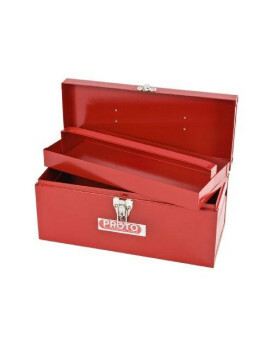 These have drawers to accommodate tools conveniently. 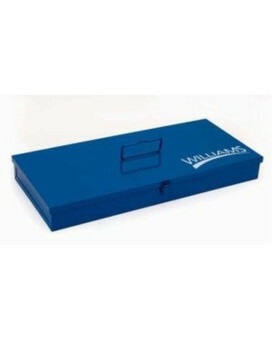 Williams TB-49 Toolbox, 30-1/4 by 11-1/2 by 4-3/4-INCHRuggedly constructed for long life. 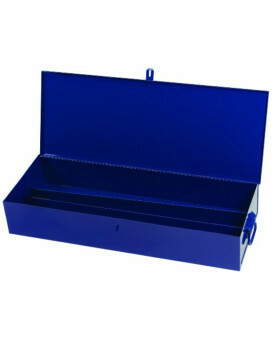 Ideal for ..
Williams TB-102 Blue Toolbox, 13 by 9 by 1-3/4-INCHRuggedly constructed for long life. 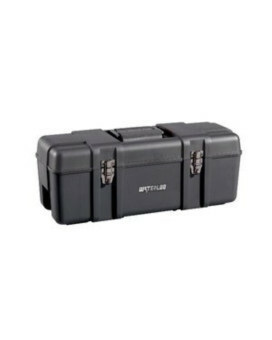 Ideal for sto..
Wes Deluxe Storage Box And Seat BlackThis de Luxe unit (comes with heated grips) has spacious storag..
Waterloo PP-2310BK Portable Series Plastic Tool Tote with Tote, 23-INCH, BlackWaterloo portable tool..
Waterloo Portable Series 26-INCH Wide Plastic Hand Box, Black (PP-2610BK)Move aside, metal - the Wat..
UEi Test Instruments AC504 3 Compartment Carrying CaseThe AC504 is a medium size hard carrying case ..
Trusco St-350-B 2-Level ToolboxTough yet cool steel body smooth opening easy organizing with 2 level..
Triton Products KTI-72460 MagClip Powder Coated Steel Magnetic Tool Box 12-Inch L by 3-1/2-Inch W b..
"Ideal for holding small items like nails, bolts, screws, or larger items like cans, bottles, and to.. 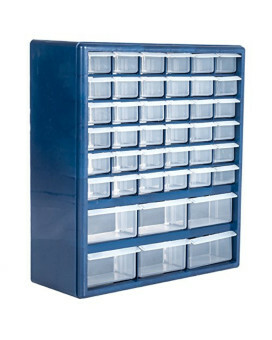 Trademark Tools 75-3021 Deluxe 42 Drawer Compartment Storage BoxTrademark 42 - drawer Storage Box. 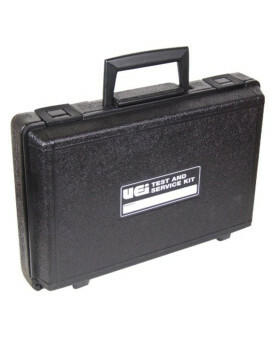 M..
Tool Mate Nonslip Toolbox Liner Mat - 22in. X 84in. 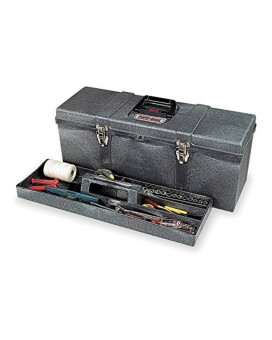 Tool Mate Nonslip Toolbox Liner Mat - 22IN. 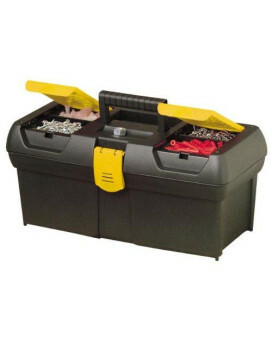 x 84IN.Use this rubbery material to line toolboxes and d..
Tool Box, HD, 26X8 3/4X10 1/2Portable Tool Box, Material: High Density Structural Foam, Overall Widt..
Tool Box w/Tray, 20WX8 3/4DX12 1/2HHip Roof Tool Box, Storage 2037 Cubic Inches, Height 12.5 Inches,..
Tlbx Organizer Pro DP13&QUOT;DeWALT Deep Pro Organizer - DWST14825 Features of Tlbx Organizer Pro D..
Storehouse Toolbox Organizer with 4 DrawersOrganize crafts,parts, tools and fishing tackle with this..
Stanley STST19410 19-INCH ToolboxSize:19-InchFeatures of Stanley STST19410 19-INCH ToolboxONE HAND O..
Stanley STST14440 Click and Connect OrganizerStyle:OrganizerFeatures of Stanley STST14440 Click and ..
12.5-Inch Series 2000 with 2 Built-In Organizers and Tray. 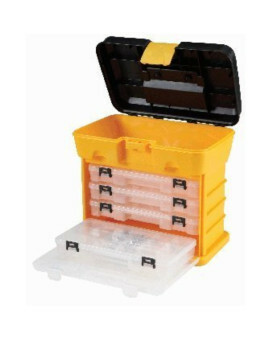 Stanley Hand Tools is a brand of hand too..
Stanley Stackable Sortmaster OrganiserStanley Stackable Sortmaster Organiser STA197483 The Stanley 1..
Stanley J9969-NA Proto General Purpose Tool Box - Double Latch - 26-inch Removable steel tote tray. 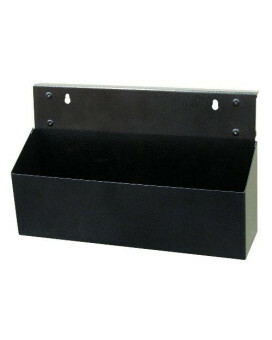 ..
Stanley J9954-NA Proto General Purpose Tool Box - Single Latch - 14-inch Removable steel tote tray. ..